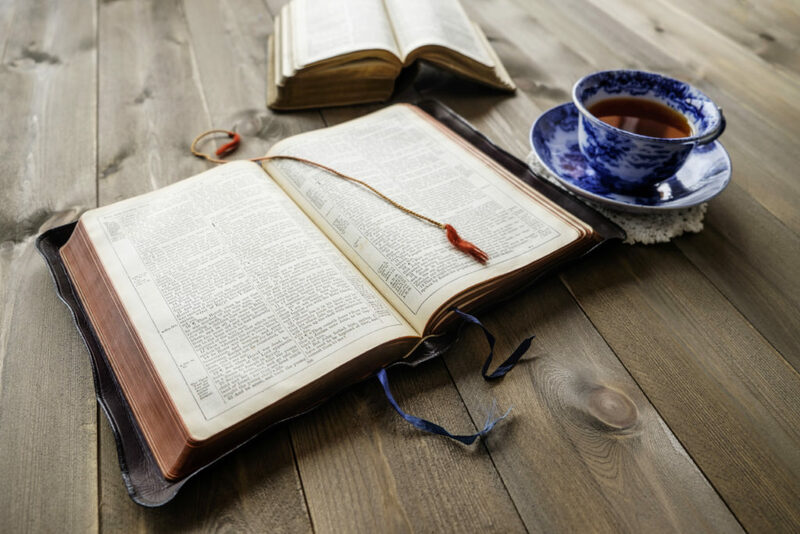 Our Poetry Teatime today is inspired by the Hebrew Poetry of the Bible.Whether a person is a Christian or not, most will acknowledge the literary beauty of Scripture. But as a Christian, to me it is so much more. It is the living and active Word of God. The Psalms teach us. Honesty, truth, humility, wisdom, wonder. They show examples of praise, of crying out to God, of bending our knees in worship. Have you thought of the Psalms in that way? As poems of worship? 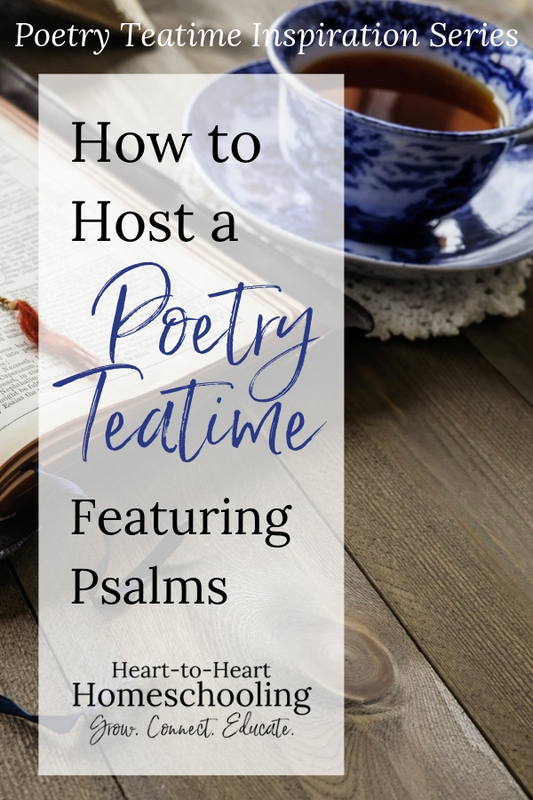 Most emphatically the Psalms must be read as poems; as lyrics, with all the licences and all the formalities, the hyperboles, the emotional rather than logical connections, which are proper to lyric poetry. They must be read as poems if they are to be understood; no less than French must be read as French or English as English. Otherwise we shall miss what is in them and think we see what is not. We tend to associate poetry with rhyming verses, the stressing of certain syllables, rhythm and meter. Of course there are concrete poems and free verse too, but we usually know a poem when see it. Hebrew poetry is different. There is no rhyme, no meter. No stressed words. Dr. Allen says poetry is the “language of experience” and quite powerful it the way it communicates information. To me, the fact that it is thought dependent, not word dependent, proves it is a gift from a sovereign and good God. It shows us how much He loves us. To think that God in his infinite wisdom gives us poetry that doesn’t lose anything when translated to other languages. The poetry of the Bible uses literary devices that transcend culture and time. Instead it employees things like multiple types of parallelism and acrostic construction. And no, your children don’t have to understand all of the types of parallelism to appreciate the beauty of the Psalms. (However, if you are interested in learning more, Dr. Allen’s book is an excellent resource.) But share with them the goodness of God in giving them in this form to all people. Today’s inspiration will center around one of the most well-known and beloved Psalms, Psalm 23. So I’m sharing my favorite muffin recipes with you from Cooking Light: Tuscan Lemon Muffins (this is the one with olive oil in it. So good! ), Cranberry-Orange Muffins, and Chocolate Chocolate-Chip Muffins. And of course, there is always milk. Take a walk along a pond, lake, or river. If you can, have your poetry teatime on a blanket beside the water. Or find a green grassy area you can enjoy. Have your kids write their own poem of praise and worship. Psalm 119 actually has an acrostic construction, so challenge your kids to write an acrostic poem, too. Younger kids might enjoy one of these fun crafts: Paper Bag Lamb Puppet or the Handprint Sheep Craft. During your Poetry Teatime, have your children each read a Psalm. And take the time to really consider the meaning of each. To me, this is the best poetry you will ever choose to share with your kids. Memorize it, meditate on the truth of it, and linger over the beauty of both the words and the message.